Since the closure of a madrassah (Islamic college) in the north-eastern city of Dashoguz [Dashhowuz] in 2001, the faculty has been the only institution in Turkmenistan authorised to train imams. In 2002 the president set limits on the number of students who could study there. The staff member told Forum 18 that, under a decree passed by President Niyazov on 30 June, the Theological Faculty will merge with the History Faculty in the next academic year and will be merely a sub-department with 55 students. Under a decree issued by the education ministry on 5 July, 20 students are being expelled from the preparatory department of the Theological Faculty. Disdog Akif Keten, the Turkish rector of the Theological Faculty, told Forum 18 on 21 July that, “unfortunately,” he could not answer Forum 18’s questions because, under the president’s 30 June decree, no Turkish teachers will have their contracts renewed in the next academic year. They are to be replaced by Turkmen teachers. Keten said the Theological Faculty has been operating for 11 years and throughout this time most of the teachers have been Turkish citizens who graduated in theology from Uladag University in the Turkish city of Bursa. As part of official Turkmen policy to cut as many ties as possible with the outside world, those who wish to become imams cannot study at foreign Islamic schools. As the Theological Faculty is the only place in Turkmenistan able to train imams, the reduction in its status and in the number of students will further reduce the quality and extent of Islamic education. President Niyazov complained, at an extended meeting with the Cabinet of Ministers on 1 July, that too many students are studying at the theological faculty and proposed that numbers be reduced. “Because an exceptionally high number of specialists are graduating from the theological faculty, they can’t find work when they finish their studies,” he stated. Niyazov also said that “we have one religion and unique traditions and customs, and there is no need for people to look beyond these”. “Otherwise,” he continued, “there will be self-styled mullahs, each one of whom will interpret religious rituals in his own way, which could in the end lead to feuds.” Because of this, the president ordered the closure of the Theological Faculty, leaving just a small group of students, as well as the publication of a list of common religious rituals for all Turkmens. Forum 18 tried in vain on 21 July to find out from officials their reasons for the Theological Faculty cut back, and why President Niyazov was interfering in the number of students who wished to study Islamic theology. Officials at the government’s Gengeshi (Council) for Religious Affairs put their phones down, as soon as they found out that it was a journalist calling them. Forum 18’s attempts to ask Turkmenistan’s Chief Mufti, Rovshan Aleberdiev, also proved unsuccessful. He replied rudely that “he did not have time to talk to any journalists”. A campaign to uncover Islamic dissidents has begun in Turkmenistan, according to a human rights activist in the town of Khiva, in Khorezm region of north-western Uzbekistan, which borders Turkmenistan. “Officials from the Turkmen National Security Ministry secret police are going around mosques identifying Muslims who perform religious rites in a way that differs from Turkmen practice,” Khaitbai Yakubov told Forum 18 from Khiva on 21 July. Yakuubov said that, during this campaign, at least two Muslims have been arrested, Mukhamad Nurmukhamedov and Yager Kurbanov, both of them from the city of Dashoguz, which has a large ethnic Uzbek population. “The two are accused of being Wahhabis,” Yakubov added. The word “Wahhabi” is a slang term in Central Asia, loosely and inaccurately used to mean Muslims who do not defer to state control of Islam, or those whose interpretation of Islam differs from local regional custom. Only very rarely does it actually refer to adherents of the purist strain of Islam that predominates in Saudi Arabia. From about 2003, the authorities removed all ethnic Uzbek imam-hatybs from all the main mosques in Dashoguz region and replaced them with Turkmen imams. 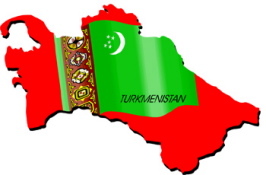 The Turkmen government directly controls the Islamic community throughout the country, President Niyazov personally removing the last two chief muftis – Nasrullah ibn Ibadullah in 2003 (he has since been imprisoned) and Kakageldy Vepaev in 2004 – while the Gengeshi for Religious Affairs names and removes all imams. The move is possibly part of an overall government attempt to tighten the already harsh controls over the country’s officially registered religious communities, as President Niyazov has also stepped up pressure on the Russian Orthodox patriarch to cut ties between Orthodox congregations in Turkmenistan and the Central Asian diocese, whose headquarters are in the Uzbek capital Tashkent. Niyazov would like Turkmen parishes to be directly under the patriarch’s jurisdiction, and some in the Orthodox Church told Forum 18 that they fear this was an attempt to create an “independent” Turkmen Orthodox diocese. Patriarch Aleksy diplomatically refused the proposal. Whenever Turkmen official newspapers mention the head of the Orthodox diocese, whose official title is Metropolitan Vladimir of Tashkent and Central Asia, they always describe him as “Metropolitan Vladimir of Ashgabad and Central Asia”. However, Russian Orthodox seminarians are still able to study at the seminary in Tashkent. Other officially registered religious communities, such as the Baptists, Seventh day Adventists, Pentecostals and Hare Krishna devotees, also face strong official pressure and restrictions.